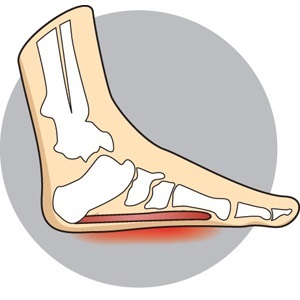 Overpronation can be treated conservatively with carefully designed orthotics. These orthotics should be designed with appropriate arch support and medial rearfoot posting to prevent the over-pronation. We can provide you with the proper orthotics at Foot Solutions. Footwear should also be examined to ensure there is a proper fit. Footwear with a firm heel counter is often recommended for extra support and stability. Improperly fitting footwear can lead to additional foot problems. Our friendly staff can recommend the right kind of footwear to avoid overpronation.